You a pimp or a shrimp? When that Portobello just won’t do as its told, shrimp slap it. Yank at it, scrape it up, stuff it good and proper. There will be no more of that disrespecting your taste buds. You will get yours with this recipe. 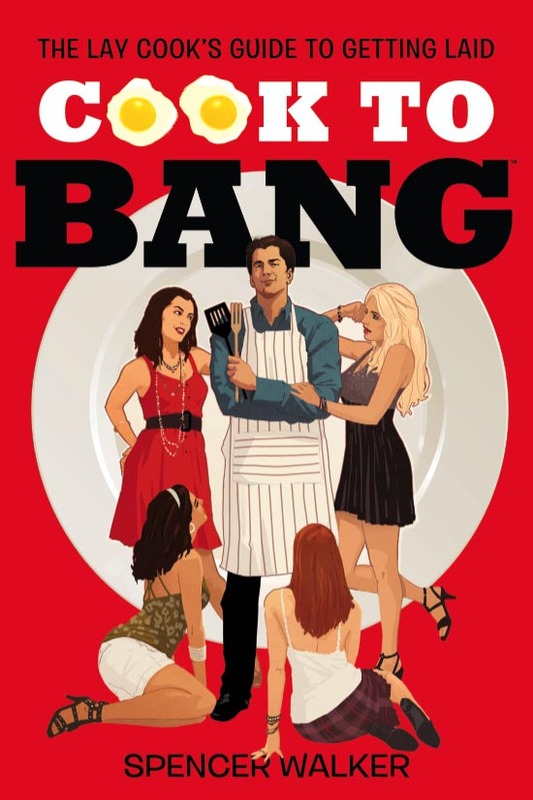 If you fail with this dish, you fail at living the good life. Preheat oven to 350°F/175°C. 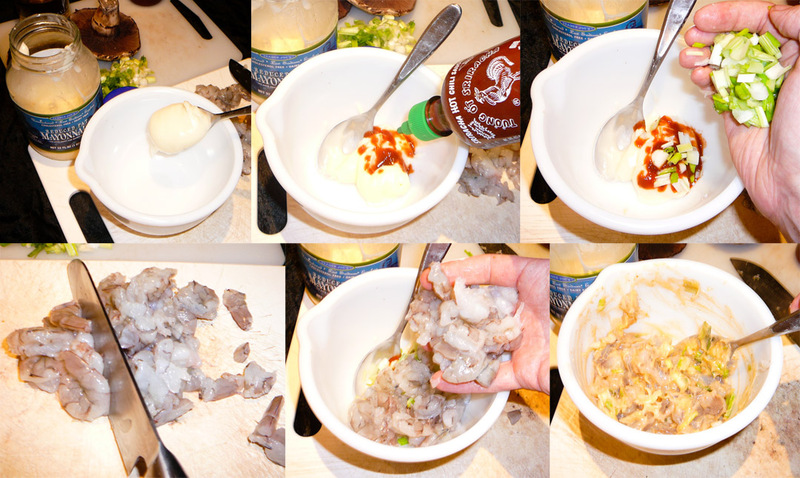 Mix in a bowl the mayonnaise, Sriracha Hot Chili Sauce, green onions, and shrimp chopped up coarsely. 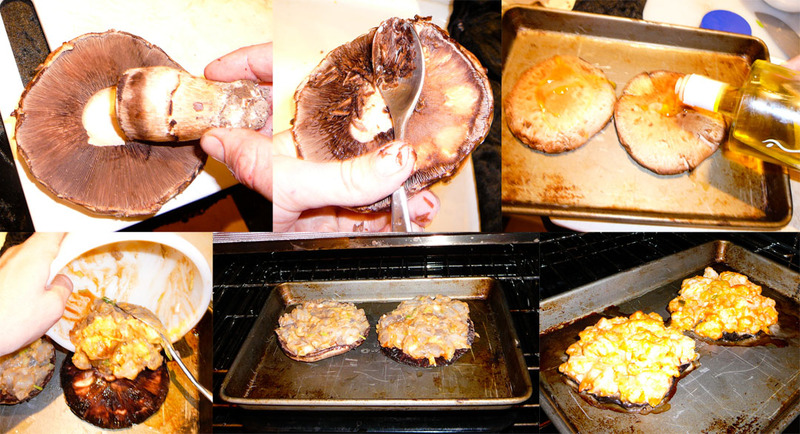 Remove the Portobello stem and scrape away gills with a spoon. 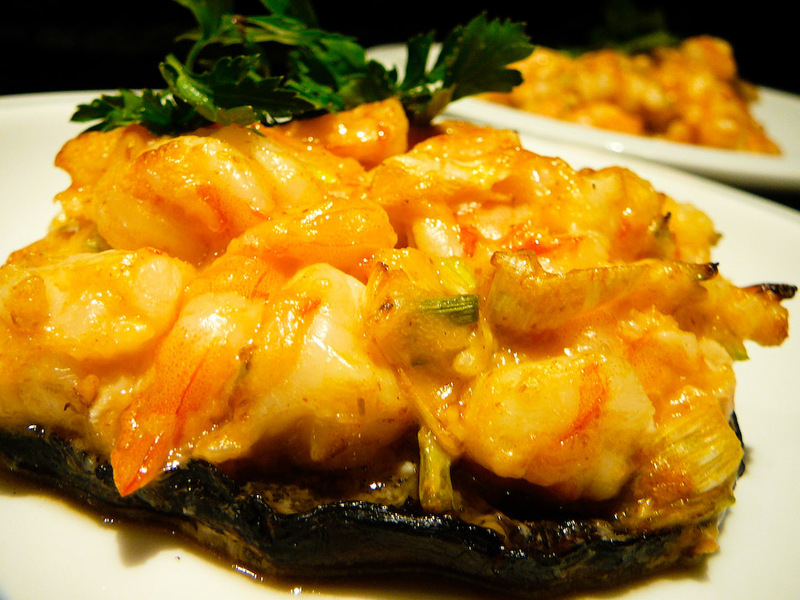 Shower the tops with olive oil and scoop the shrimp mixture evenly between the two scooped out Portobello bottoms. Slide into the oven and bake until the shrimp takes on an orangey hue (approx 25 min). 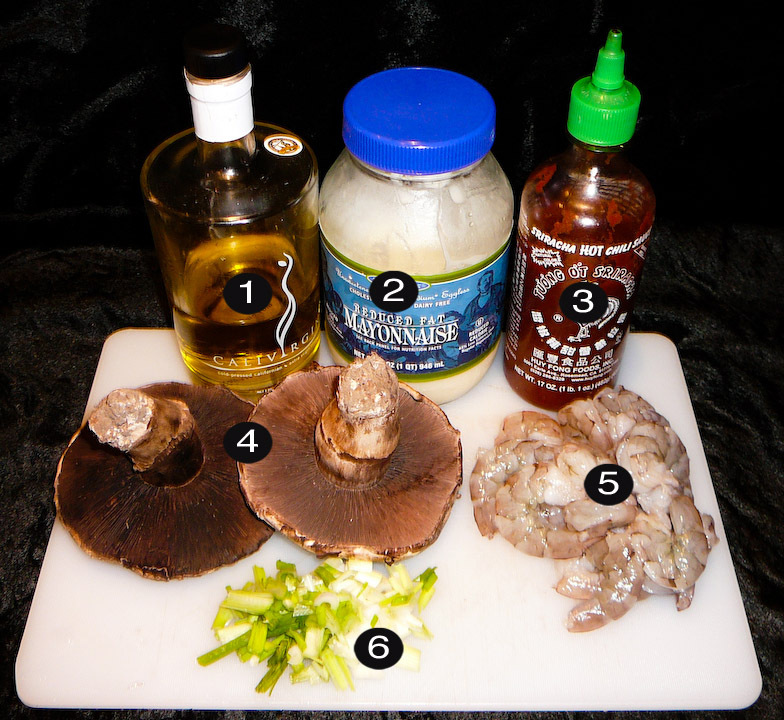 This entry was posted on Monday, September 30th, 2013 at 10:01 am and is filed under aphrodisiac, APHRODISIACS ANONYMOUS, asian, contests, fusion, IT’S ON!-TREES, RECIPES, seafood, spicy, thai. You can follow any responses to this entry through the RSS 2.0 feed. You can leave a response, or trackback from your own site.